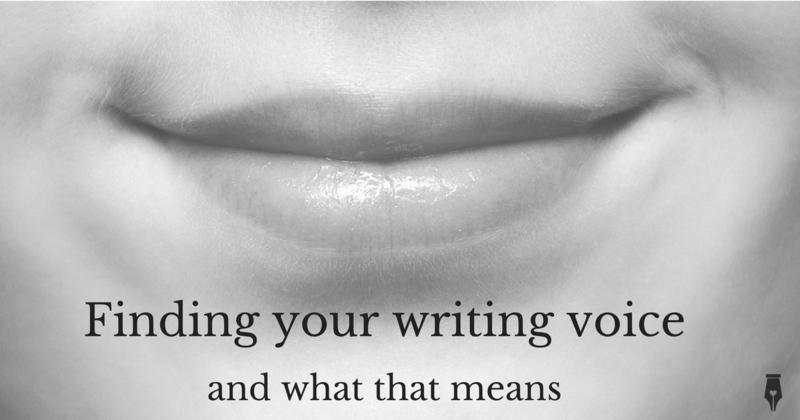 A lot of writing advice talks about ‘finding your voice’. But what does that mean? We all have a unique ‘physical’ voice. 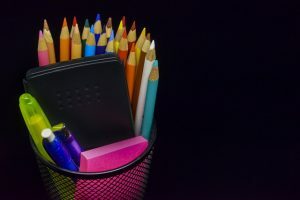 The tone, accent and language you use are formed from a unique mixture of your background and education; where you’ve lived and worked; who you’ve associated with, who you admire and whose customs you adopt. Studies have shown that we start to recognise human voices in the womb. In the early stages of human evolution, being able to distinguish whether someone was friend or foe in the dark, would have been an important survival trait. In contrast, writing is something we’re taught to do. It’s a skill we have to learn and it doesn’t come as naturally as speaking. So our writing voice is more likely to be influenced by education, and what we’re taught about writing. And that’s where there’s can be a disconnect between our speaking and writing voices. In being taught to write, we assimilate all these ‘rules’ about grammar, spelling and punctuation. And they can sometimes get in the way, making us fearful of making a mistake when we write. What happens when we write? I’ve seen it more times than I care to remember in business communications. When someone picks up a pen or taps their fingers on a keyboard, their ‘voice’ changes. It becomes more formal. It looks for clever sounding phrases. It adopts things it’s seen written elsewhere in a bid to sound professional. That’s how you end up with nonsense like “leveraging our partner ecosystem” and “assuring you of our best attention” (an email sign off that I used to see on a daily basis). Say those phrases out loud. How do they feel? That’s a tip I use in my business writing workshops.Read what you’ve written out loud. Ask yourself ‘Would I actually say that? If you have to mentally wrinkle up your nose, or adopt an unfamiliar tone to say it, then it’s not natural and authentic. And your audience, your customers will sense that. When we speak, our communication is spontaneous. We don’t use complete sentences. We get distracted. We intersperse our words with pauses, umms and errs that give us time to think. When we speak, our body language, facial expressions and tone give clues to our meaning and intention. We understand if someone is being sarcastic, joking or being serious. Our spoken voice is full of our personality. When we write, we don’t have these extra clues to illustrate our meaning. The words we use have to do all the work. So it’s important that they are clear. But your written voice can represent your personality in the same way that your spoken voice does. Use words to paint a picture, tell a story, conjure up ideas in another person’s mind. Drop in a colloquial phrase or a favourite word. It’s all about being authentic. In writing for clients I have to adopt voices. It’s a bit like being a impressionist. I listen to them talk about their business. I read their written content carefully. I look for words and phrases they use and mimic their rhythm and style. When I adopt a brand voice for a client, it’s often about dialling up or dialling down certain elements. One client has a lovely chatty tone of voice, so as I write for them, I imagine popping into their kitchen for a cuppa. Another client is incredibly creative, bursting with ideas and enthusiasm. I throw in words that appeal to the senses and drop in a one-word sentence for impact. Sometimes my job is to give a client’s voice clarity. I edit out words that you don’t need, strip away the fluff and focus on what matters so that you present the best version of your business. Sometimes my job is to give a client’s voice a confidence boost, so instead of words like ‘maybe, might, a bit’, I use words like ‘can, will and lots’. Often my job is to give your communication clarity. That means structure and punctuation that makes it easy to read. It’s a bit like a singing coach showing you where to breathe when singing a complicated line. When I correct grammar and spelling, it’s about avoiding distractions, and preventing you from looking stupid. Think of me as the friend who’ll tell you that you have spinach in your teeth, or your dress tucked into your knickers before you head out to impress someone. As a copy and content writer, I choose my words carefully. The trick is to keep my client’s voice, but give it a tidy up. Just like you might brush your hair more carefully and put on a clean shirt for an important meeting. The voice I use in these blog posts is mine. A unique mixture of my background, education, influences and interests. You may not be able to detect my accent, but my writing voice is authentically mine. 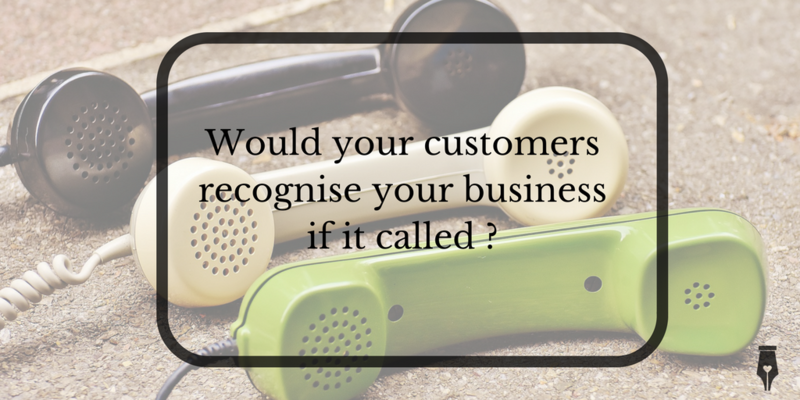 Would your customers recognise your business if it called? What you say about your business and how you say it, is an essential part of your brand. Get your tone of voice right and customers easily recognise your business. Get it wrong and your message may never connect. As a child, I didn’t like answering the phone in my parent’s house. People would call and say “It’s me,” and I’d have no idea who they were. This was back in the days when phones had handsets and dials or buttons, but certainly no screens, and answering machines were something you’d only find in the office. I was embarrassed and a bit nervous when I didn’t recognise who was calling and would ‘forget’ to take a message. Now, imagine if that was a business call. Okay, these days technology makes it easier to identify who is on the line and most people would introduce themselves. 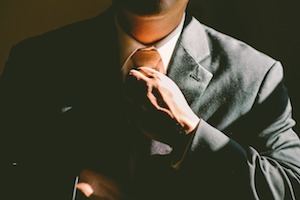 But if you’re unfamiliar with a business, if you don’t recognise their name, or their voice, wouldn’t you be more cautious about dealing with them, until you establish a relationship? I didn’t recognise the voices of my parents’ friends because I didn’t hear them as often as my parents did. Yet I could identify any DJ who hosted a show on my favourite radio station with only a few words. We become familiar with voices we know well. But new voices take a while to tune into. I’m working with a really exciting new client at the moment, helping to develop a tone of voice that will make their business stand out. It involves a lot of listening. Not only am I getting to know the specifics of their industry and what they do, but I’m also getting to know them as people. What is it about this business that makes it different from others who make or deliver similar products and services? I can hear they have bags of enthusiasm and tonnes of knowledge. They really have to be experts in lots of different areas to provide a great service to their customers. They are incredibly creative and immensely resourceful. They get up early and stay up late, going the extra mile without even thinking about it. They really care about what they do and want to get to know their customers so that they can offer the right advice. My challenge is to reflect all that. To put all those values and their personality into concise words that will appeal to their customers. As I do that, I’ll also be thinking about how I do it, and developing guidelines that will help them maintain their brand voice throughout all their communications. It takes a bit of time to ‘tune in’, to find something that a business is comfortable with and that will work for them. Developing a tone of voice for a business combines a mix of creative and analytical skills and it’s a process that I really enjoy. 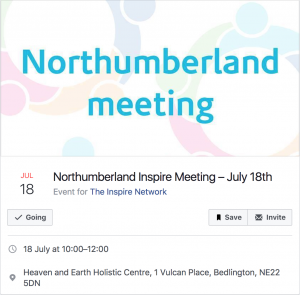 I’ll be talking more about tone of voice and why it matters in business at The Inspire Network meeting in Bedlington on 18 July. Find out more and sign up to come along. This is a ladies only networking event, but I offer training, presentations and advice to anyone interested. If you’d like an expert business writer to speak at one of your events or want to discuss your writing training needs, please get in touch. 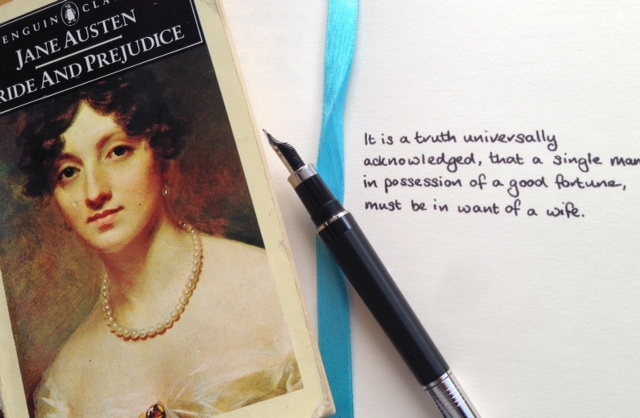 It is a truth universally acknowledged that, when thinking and writing about novelist Jane Austen, this writer will inevitably adopt aspects of her tone of voice and writing style. 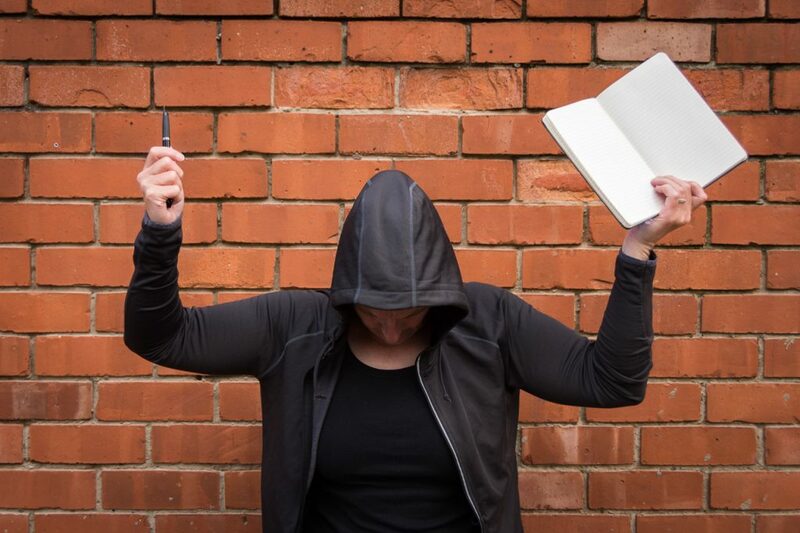 What may not be quite so well known is that copying another writer’s words is an excellent way of adopting their tone of voice, that may, in turn, assist you in finding your own voice for your business brand. In copying those famous opening words from Pride and Prejudice, I was actually demonstrating a top tip that has helped me and other copywriters adopt a new tone of voice for different business clients. Find a piece of writing that’s a good example of the brand voice you want to adopt. Copy it out word for word. It will help you to write in a similar style. It sounds rather simple doesn’t it? But honestly, it works. And it’s not just me that thinks so. I’ve seen this tip crop up in a number of copywriting resources, most recently in this podcast of 50 copywriting tips from Radix communications. As children we learn to talk through mimicry. Imitating the sounds we hear, we eventually learn to speak. So, it makes sense (to me anyway) that we can and do learn to write in a similar way. We start out copying letters, then words and sentences, and eventually develop the skills to make them say what we want them to. Copying the words of another writer mimics how we first learned to write and understand language, through imitation. I like to think that it puts my brain into ‘learning’ mode. If you’re looking to express who you are and what you do in a new and distinctive way, then finding a style of writing that you think sounds right for you and copying it is a good place to start. It could be the style of a publication that you admire, a book, an advert, a letter from another company – but I encourage you to search out things you like to help you get started. There is a leap from copying and imitating to making a voice your own. It involves more in-depth analysis of what the writing does, how it does it and why. But once you’ve found it, you should be able to work out the rules. If you’ve got the right voice, they’ll feel natural. It’s also important to test your new style. Do your customers like it? Does it do what it needs to communicate what your business does? Does it truly reflect your values and ethos? Are you confident you can apply it to all aspects of your verbal brand, from website to tweets, corporate report to customer email? Rebecca Vaughan stars as 13 heroines from Jane Austen’s novels. Jane Austen wrote mainly novels and letters, but with her precise turn of phrase, I like to think she’d have been a natural on Twitter. She’s on my mind at the moment as this month marks 200 years since she died. To have created characters that are so familiar and stories that are still read, enjoyed and endlessly adapted so long after you have gone is a wonderful legacy for a writer. On Sunday evening, I’m looking forward to seeing some of Jane Austen’s characters brought to life on stage at The Customs House as part of the Write Festival 2017 in South Tyneside. The critically-acclaimed Austen’s Women sees writer and performer Rebecca Vaughan become Emma Woodhouse, Mrs Norris, Miss Bates and other characters from Austen’s novels. I shall no doubt smile as I recognise their words, and if, on Monday morning, I’m sounding a bit Lizzie Bennet, I do hope that you’ll forgive me. For more tips to help you improve your writing, sign up to my mailing list. Like physical training, your writing can benefit from exercise. Just like challenging your body, heart and lungs to take on new challenges, you can improve your writing by focusing on your writing practice and trying new things. Here’s how I exercise my writing muscle and keep myself in top writing shape. I swim, cycle and run so that I can take part in triathlons. I do weight training to keep me strong and in good shape for my sport too. Yes, it is sometimes hard to fit in physical training. But I know that if I don’t put the effort into consistent training, I’m unlikely to reach my potential, and I risk injury. Training challenges me, and I enjoy it. So I make time for it. I make time for writing too. Not just as part of my daily routine, which involves creating content for my writing clients. I make time to explore writing outside of my work commitments too. Time to try new writing challenges. Time to write with no expectations or judgement. Time to play around and enjoy it. Time for writing can be a regular 20 minutes free-writing to warm up my writing muscles for the day. Or, it can be more intense and concentrated, in the form of a workshop or writing retreat with Dark Angels, or a training event from 26 Characters. Most writers start out mimicking their heroes. I did. Somewhere in a box in the attic, there’s an exercise book filled with a story about a girl who runs off on horseback in the dead of night, in the style of C.S Lewis. Reading was how I first learnt the elements of stories, about heroes and conflicts, about character, place and action. It may seem like a long path to go from writing fantasy tales to writing marketing materials for businesses. But business writing has its heroes with their obstacles to overcome too. It’s just a matter of seeking them out. Call that my daily quest. Writing stories of my own taught me about structure – about the importance of beginnings, middles and endings. These are important elements in business writing too. You need a strong headline to catch attention. You need to draw people in, take them on a journey. And then at the end, you need to persuade them to take action. While studying English Literature and Language at Leeds University, one of my tutors used to set us the task of writing essays in the style of the writers we were studying – Philip Sidney, John Milton, Alexander Pope. This was very different from modern writing, but in mimicking the rhetoric, structure, and language of different writers, I learned to appreciate the craft of their writing even more. That meant I could write about it from a position of understanding. 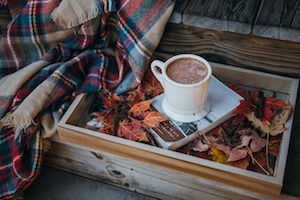 Using metaphor, drawing on all the senses, writing from another person’s point of view, choosing a potent word – these are all techniques I have learned through studying language and literature. And they serve me well as a writer for business today. As a writer, the ability to adapt my writing to different styles is a very useful skill. It helps me sound like the brand or company I’m writing for. And I can still do a decent impression of Jane Austen or Charles Dickens, should you need that kind of thing. But to be authentic, it’s not enough to mimic someone else’s style. You have to develop your own. While a brand and business may borrow and adopt words and language from its own industry and environment, as a tone of voice consultant, I advise them to look for the things that make them different. Just as in speaking, we all have our own individual, distinct and recognisable voices, it’s important to find your own voice when you write – whether that’s writing for business or writing for yourself. It’s what makes you different, unique and memorable. If you’re looking to build your physical muscles, Mass Gain Source offers these essential body building tips for beginners. I run writing training and tone of voice workshops to help business people write communications that connect with their customers. I don’t know how it happens, but sometimes the act of putting words on a page, or these days, tapping characters onto a screen, makes people sound different. Maybe it’s the thought that this is business, that makes some companies come over all stuffy and formal. You can almost hear the pin-stripe suit and the overly tight collar (even when they’re actually wearing jeans and a T-shirt). My aim when I run one of these workshops is to help people sound more like themselves. Or at least, more like a living, breathing human being, than a faceless corporate drone. When it comes to writing, or any kind of training, I apply a very simple formula: See one. Do one. Teach one. I’ve used it many times in lots of different types of training and it really works. Showing someone how to do something, or demonstrating good practice is a great starting point. In my writing training, I might do this by picking out some good, and not so good, examples of writing that I see the businesses using already. Or I might take some memorable marketing straplines and invite people in my workshop to fill in the missing words. It’s easy enough to demonstrate good examples, or how things should or can be done. What I help to do with ‘see one’ is to unpick why they are good examples. What works well, what doesn’t work so well, what could be better and so on. Most people instinctively know, or understand what sounds good when it comes to communications. I can help you understand why that happens and how you can use that to your advantage in your business. It’s all very well seeing and being shown how to do something. But the real way to make any kind of training stick is to put it into practice. That’s why you won’t find me standing at the front of a room giving a lecture when I do my writing training. It’s you who will be doing the work, thinking, scribbling things down, trying out new ways of writing. And I’ll try to make sure you have things to work on well after the session has ended too. My workshops and training sessions offer a chance to get away from everyday distractions and really think about how you communicate, who your audience are and the language you use. It can be refreshing, eye-opening and illuminating. While you’re playing games with language and testing out new things in the safe confines of a training session, my aim is always to make what you learn relevant to you and your business. I used to do quite a bit of practical training when I worked at the BBC, showing new reporters how to use digital editing programs, or to use a content management system to publish web pages. That’s when I discovered, that you only really know you’ve understood something when you have to share it with someone else. Finding new ways to explain something you know well can be a challenge. I’ve learned to adapt to lots of different styles of learning, from those who learn best from seeing or hearing examples, to those who like to get hands on and move around as they take in new information. In training other people, I’ve often found I have to explain something in a different way, or been challenged to look at something I take for granted from a new angle. It’s a big confidence boost for me to see and hear people I’ve trained passing on what they’ve learned to others. I have had workshops when I’ve expected 12 people and only 4 turned up. I had to do some rapid re-planning for group exercises. But I have learned to adapt to almost anything (I think). When I’ve done training sessions in large corporate environments, I sometimes got the sense that people had been told to come to my workshop, but didn’t really know why they were there. At times like this I felt like a stand-up comedian in front of a tough crowd. But like the best stand ups, I had belief in my material and kept going, trying to engage with my audience and find a common point of interest that would get them on my side. 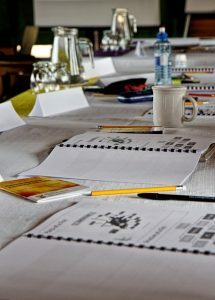 The best writing training sessions are when people are really engaged and ask questions or challenge points I make. When someone asks me ‘Why?’ or says “But we have to do it like this…” I know they are taking an interest and I have a great opportunity to make that session really relevant. All writers are magpies. We steal inspiration, words, phrases and ideas from anywhere and everywhere, then make them our own. I do the same with training courses. I’ve had the benefit of some excellent ones, from Dark Angels, 26, The Writer and Scarlett Abbott, to name just a few. As well as learning about the subject of the course, I try to take away something that I can apply to my own workshops. Was there a good ice-breaker? How was the session structured? How was the information presented? And when I can, I’ll pick the brains of other people who do training sessions. They are always very generous. I’ve learned how to create and run my writing training workshops by watching, listening, thinking and doing; through experience and analysis. I’m always looking for things that I can learn from, so I can improve my skills as a trainer. What are your top tips for a great training session? How do you prefer to learn? Need writing training in your business? Want to find out more about the workshops I offer? Please get in touch. 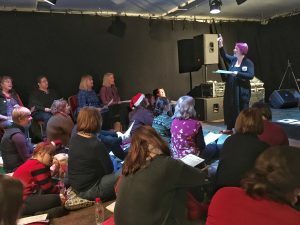 I recently took part in a pop-up choir with the fabulous Beccy Owen. A group of around 50 of us got together upstairs in the Cumberland Arms, learned some festive songs and sang them together outside, all in one afternoon. It was brilliant – I thoroughly recommend it. As part of the workshop, Beccy, in her wonderful, warm, welcoming and light-hearted manner introduced us to the three different parts of our voice that we use when we sing. There’s the ‘head voice’. That’s the high one. The one that feels like it’s coming from the space inside your skull somewhere. You can use it to hit the top notes, but it probably feels a bit uncomfortable if you have to use it for a while. Then there’s the ‘chest voice’. This comes down the scale a bit and feels more like a comfortable place to sing from. It’s pitched like your natural speaking voice. Finally there’s ‘sob’. Make a ‘huh’ sound, like you’re trying to expel all the air from your body quickly. You feel that low down in your belly, right? That’s the sob. It’s part of your singing voice you can use if you want to hit a low note, or add some emotion. Those terms are useful when thinking about the tone of voice that businesses use too. The problem with this kind of voice is that it’s not always easy to understand. And while you may need to give clear and simple instructions in business, talking in language that goes over most people’s heads can sound both arrogant and patronising. And actually, what’s most likely to happen is that customers stop listening. If you are one of those people, I’d argue that you actually learned that style of voice somewhere, and it didn’t start off very naturally. And I’d point you towards some very intelligent people who can communicate complicated ideas without talking like that – Brian Cox, David Attenborough and Chris Hadfield, to name three off the top of my head. Then there’s the equivalent of the business ‘sob’ voice. That isn’t necessarily the moment when you strike up the violins and tell your story of overcoming adversity and reaching for the stars (although it could be). 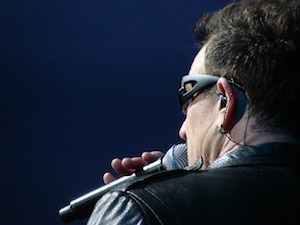 Just as in singing, the ‘sob’ voice is about adding a touch of emotion, a personal connection. In business it’s about letting the human into your writing. Saying things that matter, not just in terms of profits, but on a personal level. Sharing insights into things that you care about. It’s the details that make us human, and individual as people and in our businesses. And it’s those details that help our fellow humans, our customers, connect and want to do business with us. Music can stop me in my tracks. Like it did when I heard this busker singing on Northumberland Street this week. The right words in the right place can do the same for your business. They can catch someone’s attention…convince them that you’re the one for them. Pitch your words right, and let them sing out. © 2016-2018 Michelle Nicol. All Rights Reserved.